« CLOSED: Angelette’s has my heart! 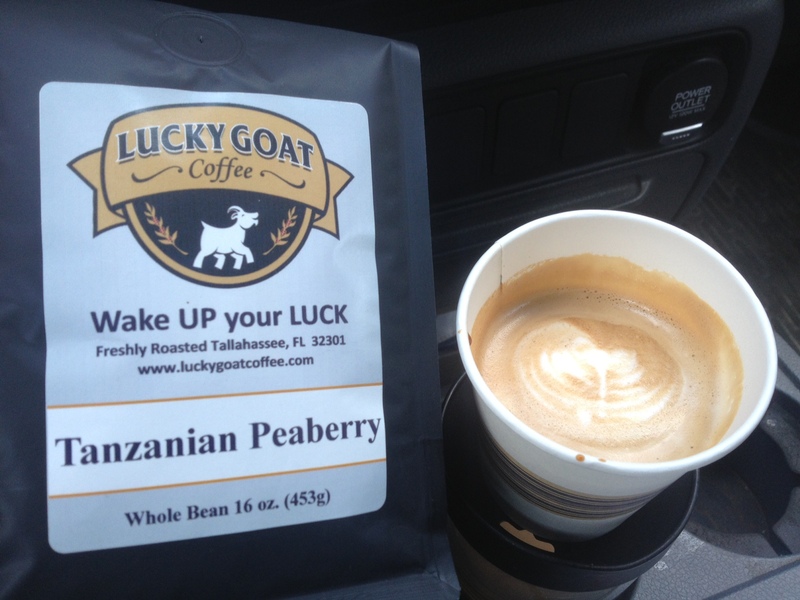 Lucky Goat Coffee – Locally Roasted and Owned! When we lived in Atlanta a friend regularly shared coffee that he roasted in his back yard. It was so much better than the stuff that might have been sitting in the grocers warehouse for months. I got spoiled! Moving home I really missed the taste of fresh roasted coffee. I kept hearing about a local roaster here in Tallahassee but it took a few months to find them. 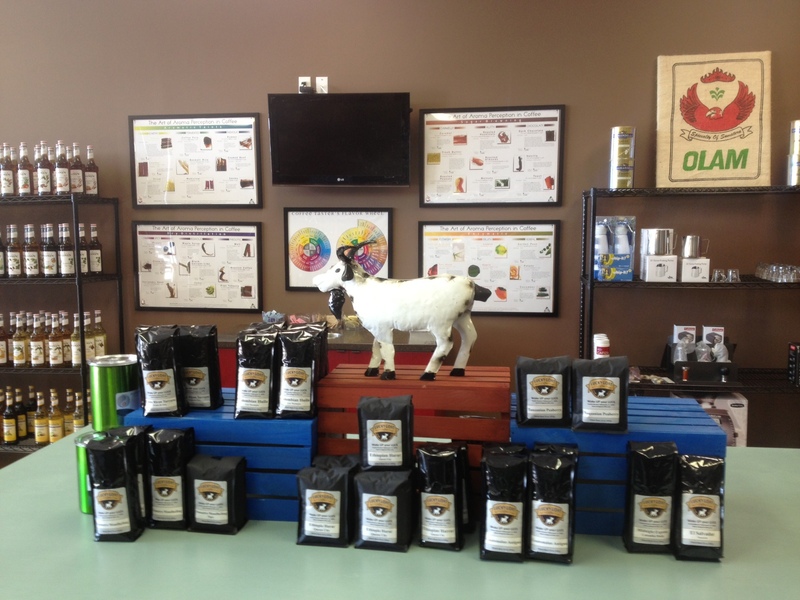 Lucky Goat has been working out of a food distributors warehouse off the Parkway. They were not easy to find and were not really set up to deal with the one or two pound buyer. But they put out a great product and were worth the hassle. Bonus was they carried both of my favorite Coffees- Ethiopian Yirgacheffe and Harar. The great news is they just opened up a coffee shop! 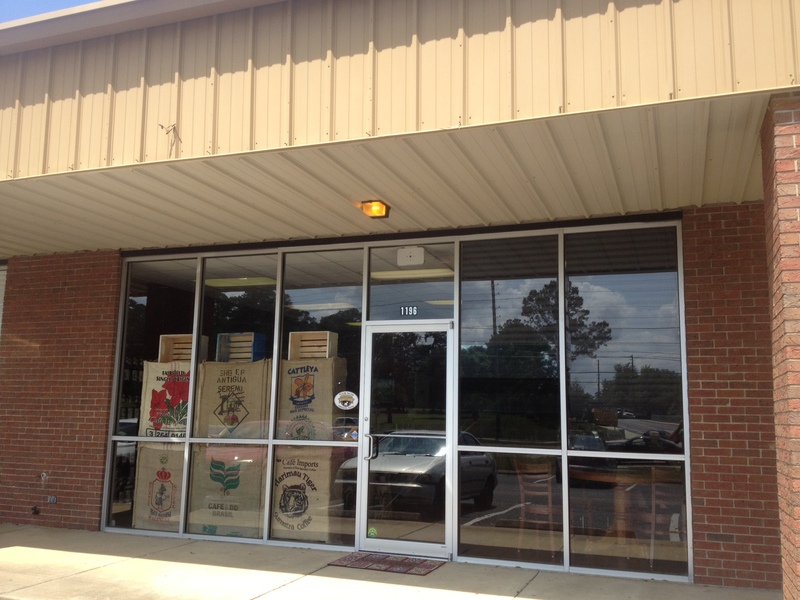 It’s in a retail strip off Capital Circle near Park Avenue. You still have to hunt for it… no sign yet. I’m sure one will be up soon. 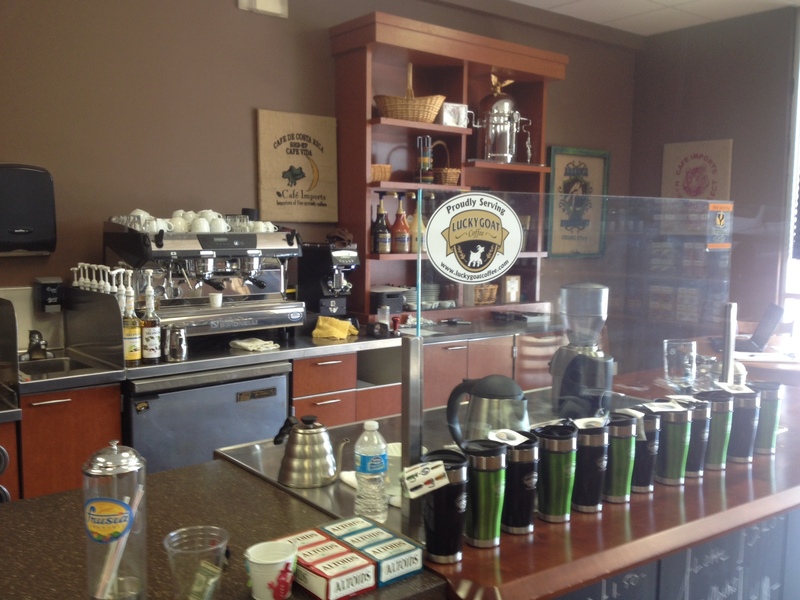 They have a great selection of coffee… several blends, flavored and single bean varieties. And their staff knows their stuff! They have a nice espresso machine and did a great job on my cappuccino! 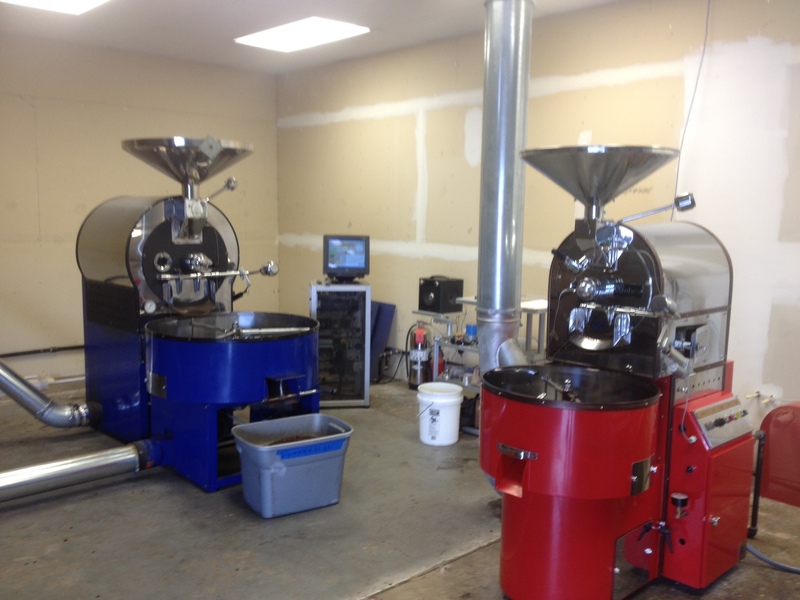 Got to love the two roasters in the back… they had just finished a batch of Guatemalan and the smell was awesome! I left with a pound of Yirgacheffe and Tanzanian Peaberry. Coffee runs $10 to $15 a pound. PLEASE KEEP POSTING!! My boyfriend and I are moving to Tallahassee this month, and have been using your blog as a reference, and we’re running out of places to visit! We are foodies too!